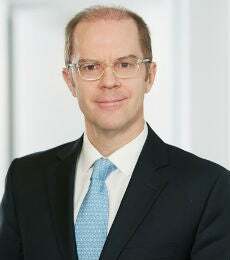 President and Chief Risk Officer, Bristol Gate Capital Partners, an asset management firm. 1. You joined Bristol Gate Capital Partners as President in December 2014. Why did you decide to transition from banking to asset management? I had worked in some form of Sales & Trading roles with both RBC and Merrill Lynch for almost 20 years and I could feel that I needed a change. I was open to many new paths, but when I met the two founders of Bristol Gate in the summer of 2014, I was impressed with the performance track record they had built and, more importantly, I wholeheartedly believed in their investment process & philosophy. Because the core product at Bristol Gate is a US Equity Strategy, I knew that the firm had a significant investment opportunities and I believed we had the opportunity to build something special. 2. How is your role at Bristol Gate Capital Partners different than your roles at Merrill Lynch? There are basic differences between the buy and sell side. In addition, Merrill is a very big place and Bristol Gate is a small firm. In my current role I am invested in our fund, and I am a partner and shareholder in the firm. So it is very easy to get out of bed every day. In smaller firms, nothing happens unless you help to make it happen. But the rewards are greater if you can build something small into something much larger. 3. Are there differences between how you work with clients in Canada compared to the US? On the surface not really. What we do like about the US market is that it is probably a bit more open to emerging investment managers like Bristol Gate. Performance is important in active management but more important is the investment process itself and not changing your stripes in different market conditions. Canada is a great base for our firm but ultimately we believe that the US is where we will see our most significant growth. 4. While at Merrill Lynch, you were part of the recruitment team, recruiting MBAs from Stern. What qualities do you look for in a new hire? Almost all the students we met were smart so we were looking for more than just intelligence. We looked for people that had engaging personalities, that could work well in teams, that had some creative ability and that were not afraid to be unconventional. On a trading floor you are competing with a lot of smart, driven people. How can you distinguish yourself in a very competitive environment? The answer is different for each individual. 5. What takeaways from your time at Stern have helped you the most in your career? The world we live in is global in every nature and the breadth of students and professors from around the world at Stern was the best exposure you could receive in a MBA program. The Stern community provided a very solid springboard to enter/re-enter the professional world. 6. Who was your favorite professor at Stern? Professor Damodaran was probably the most popular professor when I was in school and I did love his Equities class. But I have to say my personal favorite was William Silber. I was in his core Finance class and I enjoyed every minute of it. Professor Silber was demanding, engaging and never boring. Because I live in Toronto now, it has been harder to stay connected than when I lived in New York City. I still stay in touch with some of my Stern classmates and I was fortunate to meet a member of the school’s communications team recently, which is giving me a chance to become more connected again. 8. What advice would you give to Stern alumni looking to build their professional networks? I have 3 kids, ages 13 to 17, so I spend quite a bit of time with my family. I am parent coach for my 13 year old son’s competitive soccer team. I love any and all racquet sports and play a lot of tennis, squash and platform tennis. And my latest hobby is that I discovered hot yoga. 10. Where was the last place you traveled on vacation? In March, I traveled to Nevis to escape the Canadian winter for a week.